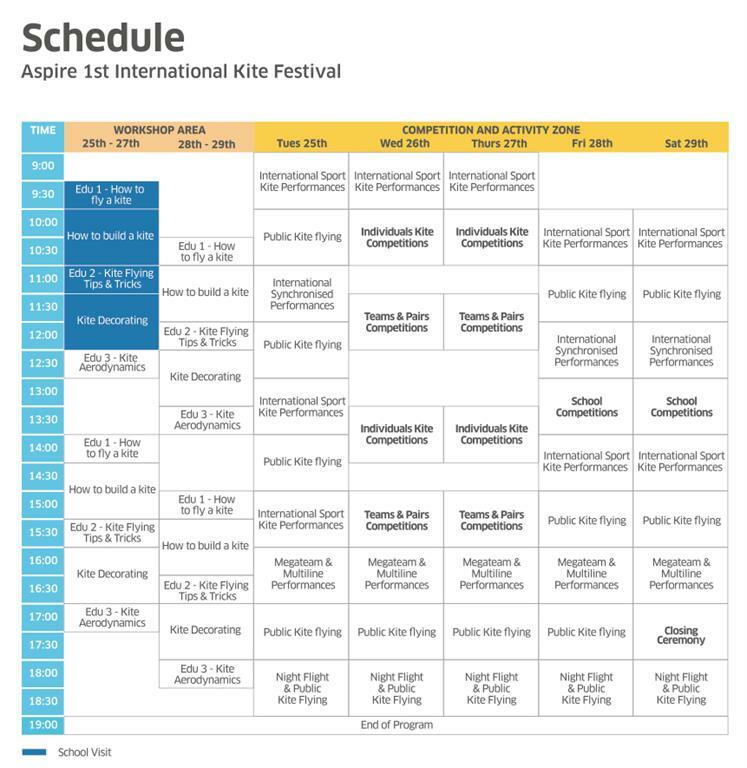 More than just kites, the 1st Aspire International Kite Festival is full of family fun. Be entertained by the roaming stilt performers specialising in juggling, comedy and acrobatic routines. Explore the wonder of the wind garden and watch as the wind surrounds you with the mesmerizing motions of the wind spinners. Join us for an international festival of fun! · The competition is open to all Qatari schools(public and private), 1 submission per school. · Teams of 10 can enter the competition by registering their name until the 24th of April. 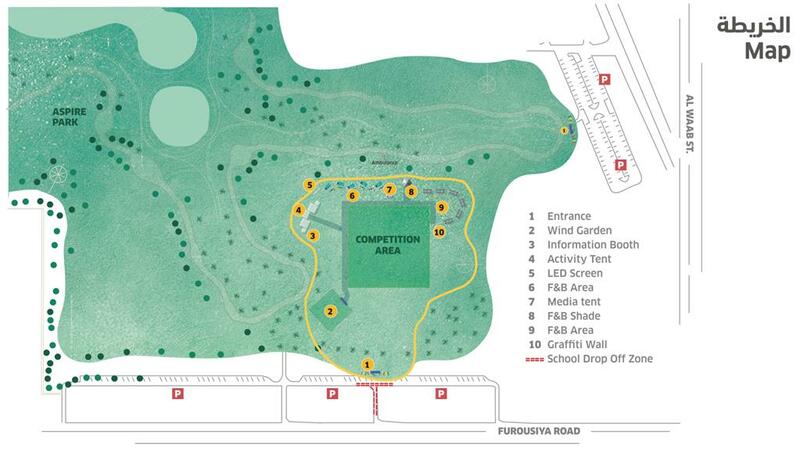 · Teams will compete on the 29th in front of the judges. We have 3 prizes for the winning schools. 1st place will win 30,000 QR. 2nd place will win 20,000 QR. 3rd place will win 10,000 QR. • Open to everyone. No registration required. 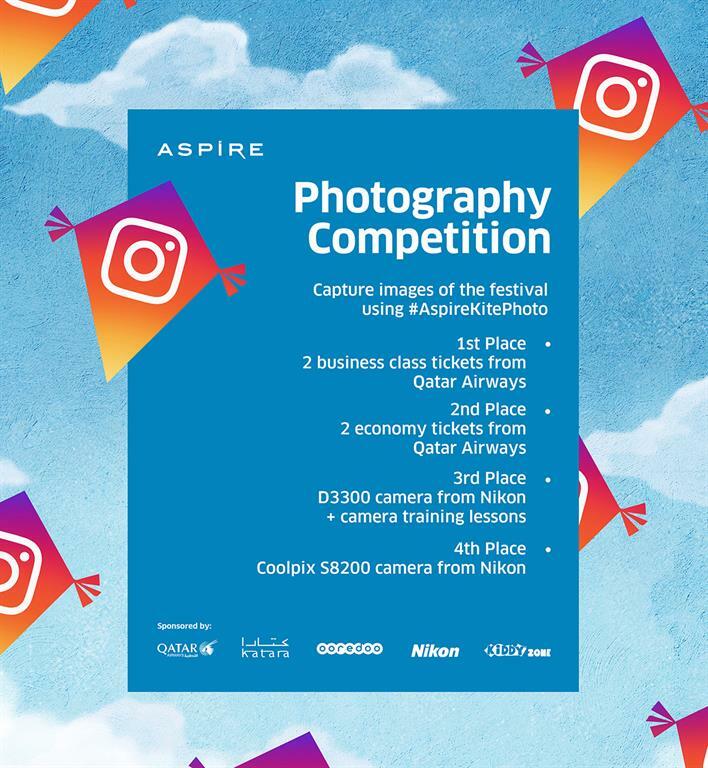 • Images should be posted on Instagram with the hashtag #AspireKitePhoto, and have their account public to view the pictures. • The pictures will be judged by a panel, and the participants with the best shots will win. 1st place: 2 Business class tickets from Qatar Airways. 2nd place: 2 Economy class tickets from Qatar Airways. 3rd place: A D3300 camera and a camera training course from Nikon. 4th place: A Coolpix S8200 camera from Nikon. • Competition open to all kids to the age of 13 and under. • Kids can create and decorate posters for the event. 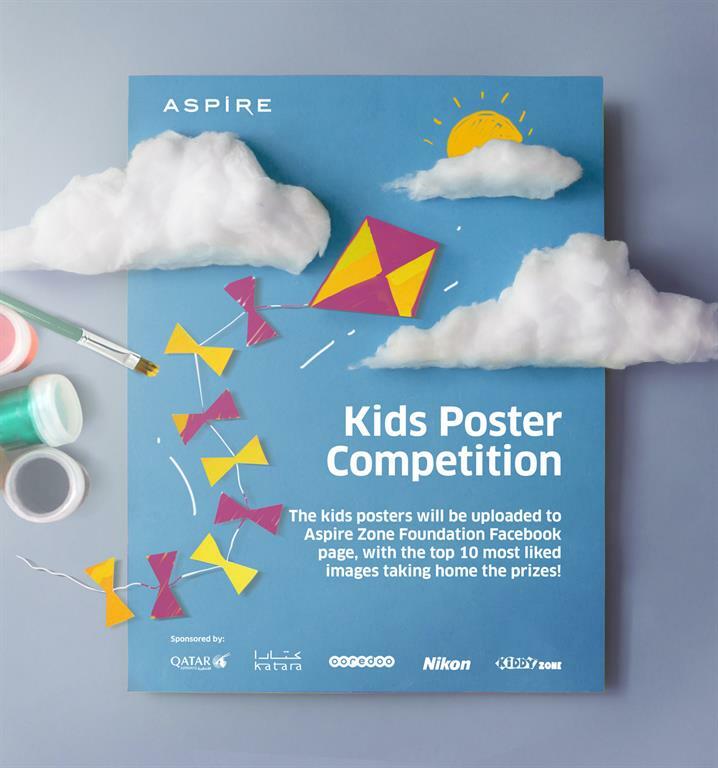 • The posters will be posted on the official Aspire’s Facebook page @aspirezone. The top ten most liked pictures, will win the prizes. • Winners will be announced on the 29th. The winners will get Gifts from Kiddy Zone.